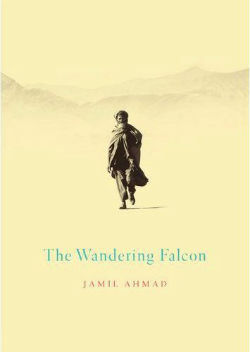 Jamil Ahmad’s book “The Wandering Falcon” became a huge success when it was published in 2011, after having spent the better part of 40 years hidden away in a drawer. The book draws on his many years of experience as a Pakistani civil servant in the tribal areas on the Pakistan-Afghanistan borders. The book saw the light of day almost by chance when Ahmad was convinced to tidy up the manuscript and put it forward for a competition. 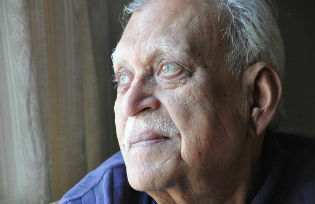 The manuscript quickly found its way to Penguin Books making Jamil Ahmad an unlikely literary star at the age of 78. The book is a a collection of stories loosely bound around the destiny of a young boy – who we discover calls himself Tor Baz “Black Falcon” – and his attempts to survive in the forbidding world of the tribal areas by attaching himself to various protectors. The stories reveal the human drama of the sometimes lyrical and often merciless world of the tribes of Baluchistan, without descending either into romanticism or facile moralism. Ahmad recreates the drama of living in these inaccessible areas with the disarming simplicity of a man who knows his subject first-hand. The book begins with the story entitled “The Sins of the Mother” set in a military outpost in Baluchistan on the borders of Pakistan, Afghanistan and Iran. A bedraggled Siahpad couple arrive on foot out of the harsh countryside, starving and dying of thirst and are offered shelter by the soldiers. They are allowed to live on the margins of the camp for a few years during which time the woman gives birth to a young boy, “Black Falcon” the “hero” or recurring element of the stories. The past catches up with his parents, as they are a runaway couple – she has abandoned her husband and run off with one of his servants. When members of their tribe finally hunt them down, they are in no doubt as to what will happen: an honour killing must take place to expiate the disgrace. Tribal law is paramount and we soon learn that these mountainous tribal areas are far from being “lawless” – on the contrary, they are run by strict codes that are both merciless and steeped in tradition. We follow the orphaned Black Falcon as he is taken in by different tribes, whose adventures and lives are described with great clarity and sympathy by Jamil Ahmad. The boy is intially “adopted” by a group of Baluchs who find him abandonded next to the graves of his dead parents. Over time the young boy falls in with the Kharots, who followed their herds of sheep and camels from the highlands to the plains, often letting their animals decide where to move and graze. But the Kharots come into head-on conflict with all the trappings of civilisation – statehood and citizenship – when they find that they can no longer cross the newly-formed national borders without passports and documents for man and beast. Their nomadic life, so beautifully described in its idyllic simplicity by Ahmad, is brought to an end. Black Falcon appears and disappears throughout the book, a pleaasant literary device through which Ahmad introduces us to slave traders, mullahs, kidnappers and political informers, all with a wise eye and very little moralising. Ahmad’s prose is lean and the picture he creates is like a clear window onto a wild and unknown land. The stories were written before the US invasion of Afghanistan and they come as a welcome antidote to the simplistic descriptions of Waziristan and the tribal areas as merely a haven for terrorists, extremists and backward tribesmen. Highly recommended.